This week, the Obama administration announced that it will revise the regulations governing the white collar overtime exemptions. 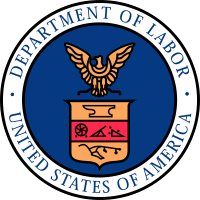 The Department of Labor has not announced all of the changes it is looking to make, but one area up for review is going to be the minimum salary threshold for exempt status. Currently, that amount is $455 per week, which amounts to $23,660 annually. The last time the threshold was raised was in 2004 during the Bush administration, and the President has signaled that this amount is likely to be increased substantially under the new regulatory effort. A news article regarding the proposed changes can be found here. Realistically, it will take months if not years for the Department of Labor to craft regulations and complete the required notice and comment periods before such sweeping changes could take place. That said, there is no meaningful legal argument that the administration does not have the authority to make this change as similar increases have been made through regulation in the past. The takeaway from this announcement is that change is coming to industries where entry level manager salaries are close to the exemption threshold (like restaurants, retail, and hospitality). This will mean higher costs for these industries as many of these management positions become converted to overtime eligible positions to avoid the sharp salary increases which will be required to maintain the exemption.